There are a couple of ways you can delete a project. The first way is by finding the project in your list of projects on the main Projects screen, and selecting “Delete” from the widget drop down menu at the end of the project's table row. 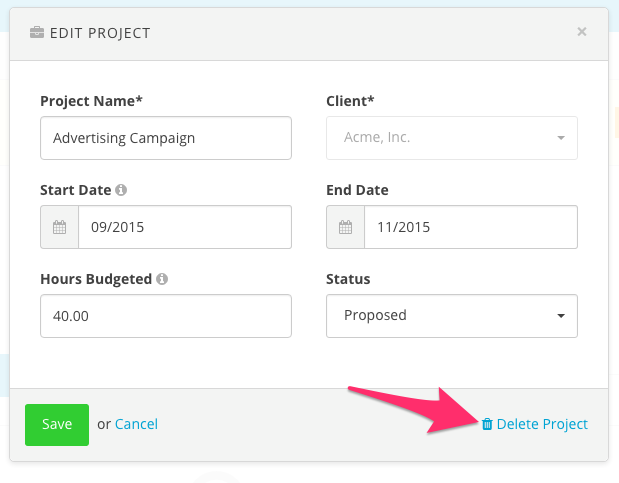 The second way is by navigating to the project’s Project Details screen, clicking the “Edit Project” link in the top right of the screen, and then clicking the “Delete Project” link at the bottom right of the edit form. 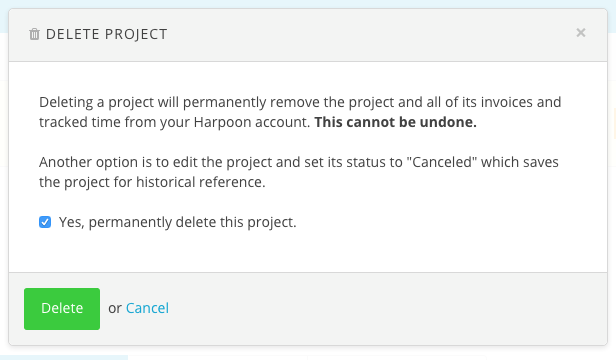 Either way you’ll be presented with a confirmation dialog you’ll need to address before the project can be deleted. To learn more about Projects view the Project support articles.